Making your toothpaste lighter? Yep, today I’ll be showing you how you can even trim weight on your toothpaste. 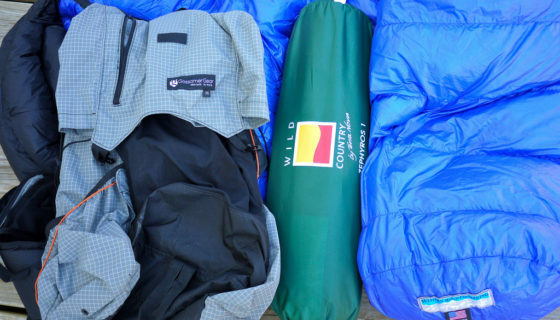 I’ll admit this technique sounded silly to me when I first heard about it, but if you’re serious about trimming ounces for lightweight backpacking, then toothpaste dots might be for you. 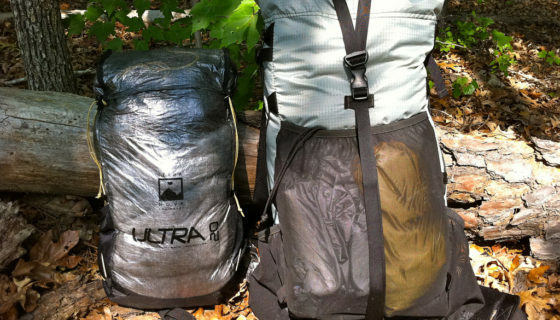 In my ongoing quest to make my backpacking dopp kit even lighter, I decided to test out a technique that Mike used on the GORUCK Ascent we both attended. 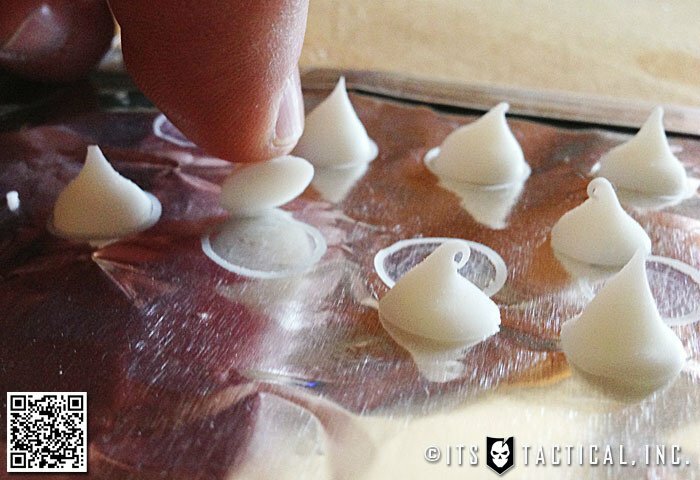 Between Mike’s experience and reading about toothpaste dots in Ultralight Backpackin’ Tips by Mike Clelland, I set out to make my own. The gist of creating toothpaste dots is to first select a toothpaste that isn’t a gel. As you can see from the photo below, if you try to use a gel, you’ll get globs not dots. Plus, gel toothpaste never fully cures like the paste will. 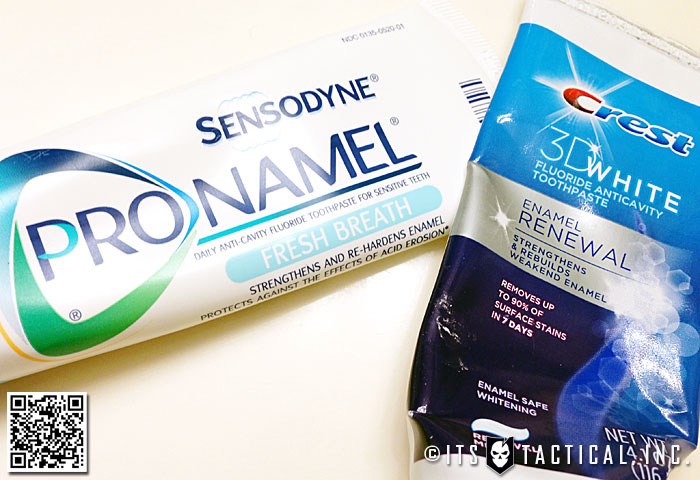 For my experiments, I used Sensodyne Pronamel (Paste) and Crest 3D White (Gel). I wanted to demonstrate what a paste vs. gel looked like on a paper plate. Rather than just say “don’t use paper products to dry out your dots,” I thought I’d show you why. 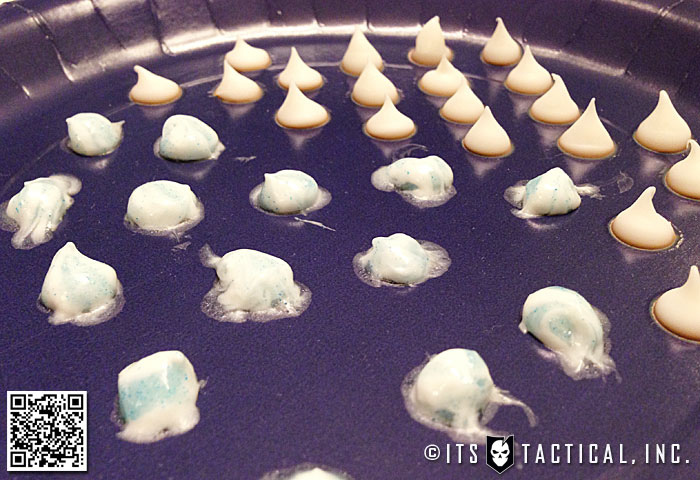 To create toothpaste dots, you want to squeeze out a tiny dot the size of a chocolate chip. Next, use tin foil to squeeze your toothpaste on to while it’s drying out. The dots will be very easy to remove from the tin foil and I let mine sit for about a week before removing them. A hint is to write the date you started with a sharpie, just in case the days blend together for you, like they do for me. 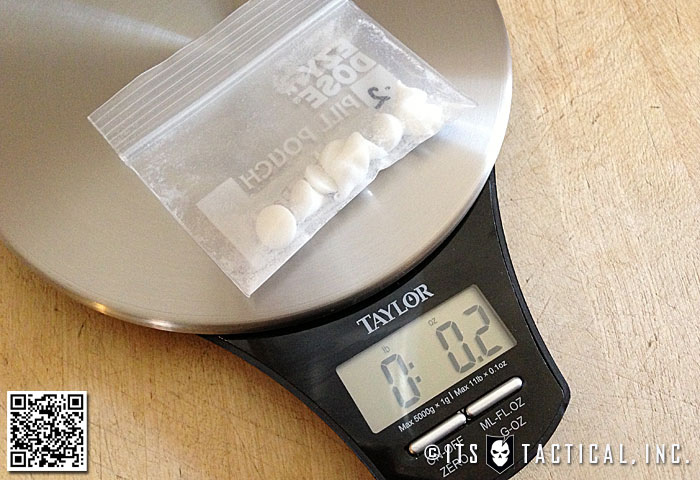 The last step is to remove the dots from the tin foil and drop them into a small ziploc, or my preference, ez-dose pill pouches. The ez-dose pill pouches are great to have around for a variety of reasons. 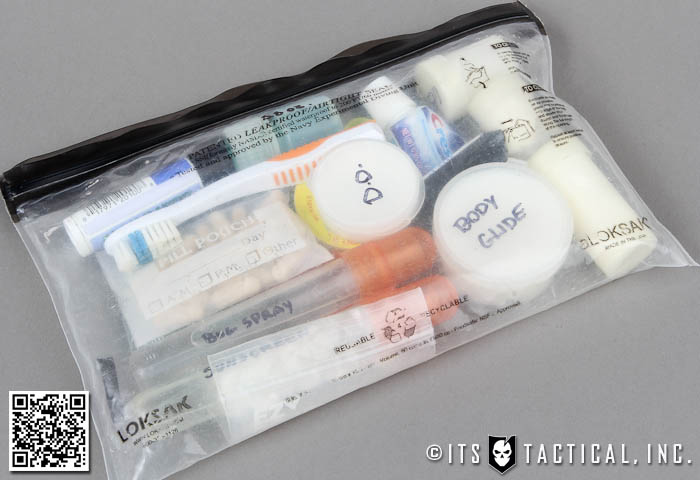 I also use them to store Asprin and Advil within my backpacking dopp kit. 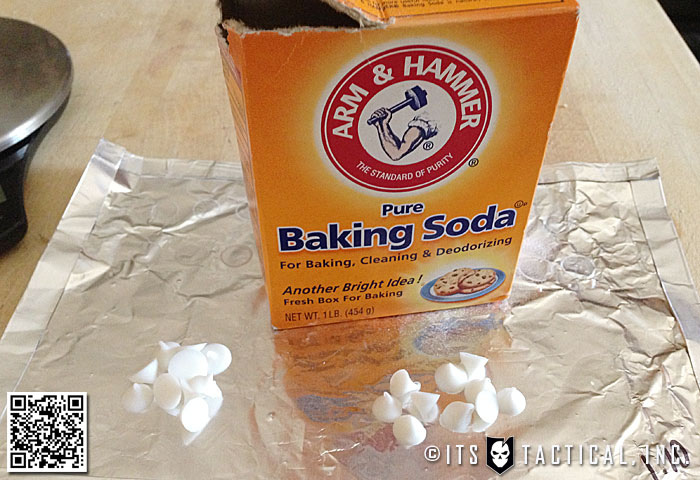 Before closing up the bag with your new toothpaste dots, sprinkle a little baking soda in so they don’t stick together. That’s all there is to it! You can now simply take out a toothpaste dot, toss it in your mouth, chew it a little bit and start brushing. You have already cut down your toothbrush to save weight, right? 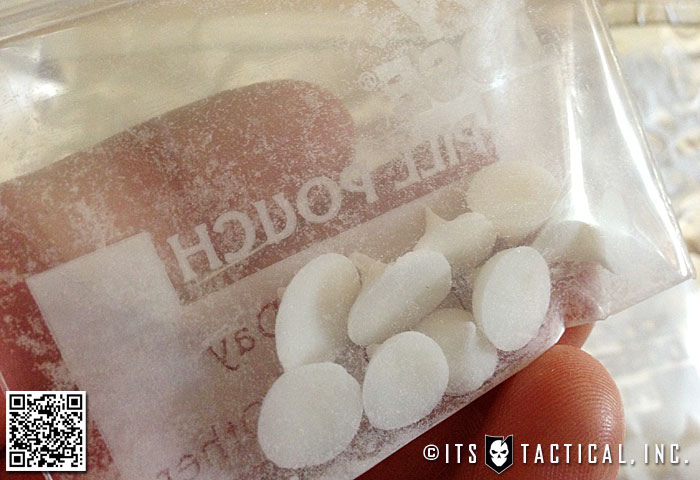 Just so you have a general idea, the ez-dose pill pouch shown here with 10 toothpaste dots, weighs just .2 ounces. Much lighter than the 1/2 ounce plus weight of a well used tube of travel toothpaste. Another benefit with toothpaste dots is that you know exactly how much toothpaste you have. 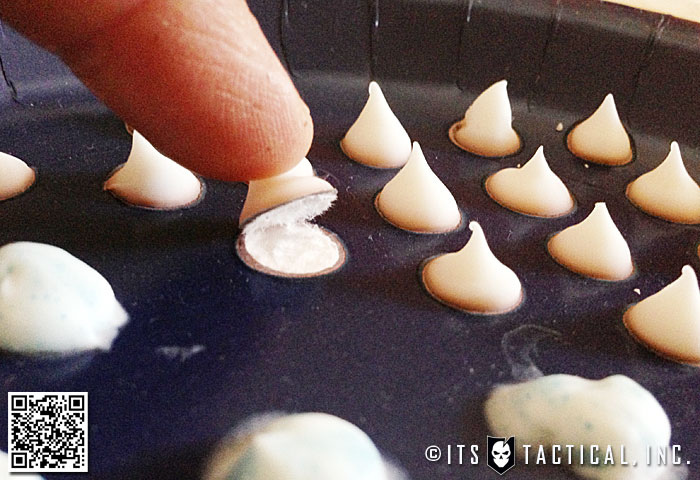 What do you think of toothpaste dots? 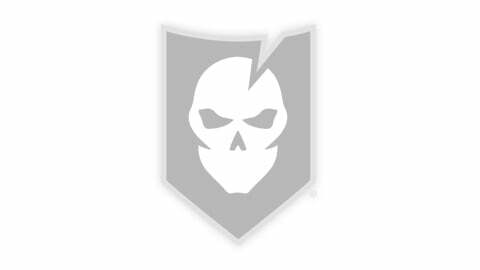 Overkill or something you’ll be trying out?